'Those Who Teach' opening; screenings of 'Hook' and 'Back to the Future'; and more. Come enjoy the next exhibit at the Sherwood Center for the Arts, featuring various instructors throughout the Sherwood area. A reception for "Those Who Teach" will occur from 6:30 to 8:30 p.m. Wednesday, May 2, and is free and open to the public. Meet the artists, curators and other art lovers, and enjoy light refreshments and live acoustic music in the lobby. This exhibit features a handful of incredibly talented arts instructors. These great instructors teach all forms of art at the Sherwood Center for the Arts and surrounding studios and schools within the Sherwood School District. This show will include various forms, styles and media of art, creating a diverse experience for all who enter our gallery. The instructor show will run from May 2 to July 1. For more information about the 2018 Gallery Season, visit the Center for the Arts in person at 22689 S.W. Pine St., Sherwood, call 503-625-4ART, or go to the website at www.SherwoodCenterfortheArts.org. The Family Matinee Series will present "Circus Luminescence" at 2 p.m. Saturday, May 12, on the main stage. 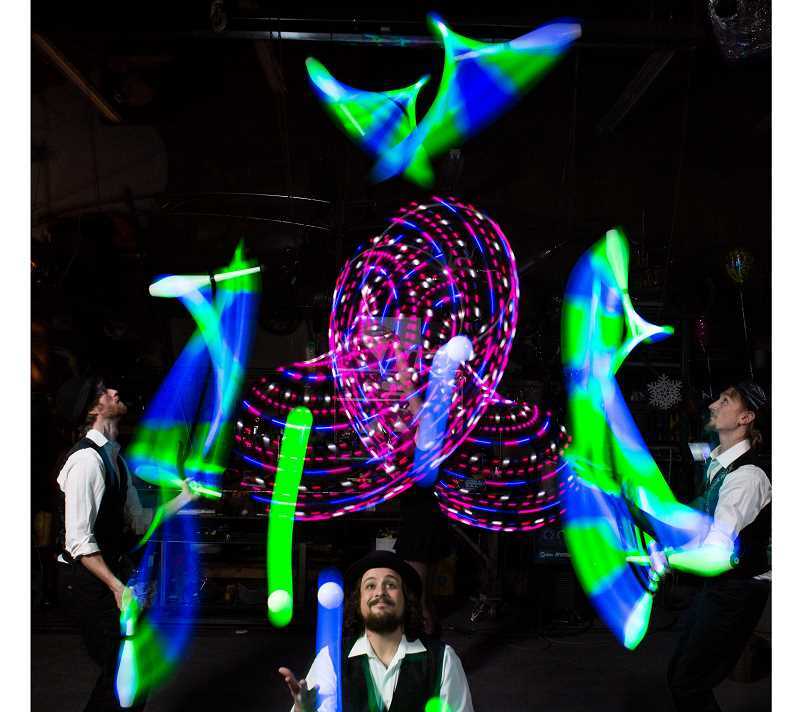 Get caught up in the moment with Circus Luminescence's gravity-defying, high-spirits-flying, vaudevillian theater show. A homespun blend of circus skills, poetry and optical-illusion collide together to take you on a magical juggling journey with an unknown destination. Come early to participate in a fun craft before the show at 1 p.m. Tickets are $5 for all ages and can be purchased online or at the door. Doors open at 1:30 p.m.
Spring classes are still in bloom at the Center for the Arts. It isn't too late to register for the last session of spring classes, starting the first week of May. Explore drawing, painting, ceramics, photography, performing arts and more. For more information about classes and registration, visit HYPERLINK "http://www.SherwoodCenterfortheArts.org" www.SherwoodCenterfortheArts.org, call 503-625-4ART or stop by the Center. Registration for summer art camps opens on Tuesday, May 1. The Center will be offering over 30 camps and workshops, Youth Tech Inc., Missoula Children's Theatre, Camp Rock Academy, Paint Nights on the Patio, Drawing, Painting, Photography and more. The Family Flix Series will conclude with a screening of "Hook" at 3 p.m. Sunday, May 6. This 1991 adventure stars Robin Williams as an adult Peter Pan, and also stars Dustin Hoffman as Captain Hook, Julia Roberts as Tinker Bell and Maggie Smith as Granny Wendy. Tickets are $3 for all ages and can be purchased online or at the door. Sweet treats, popcorn and beverages will be available for purchase. Classic Film Series concludes with "Back to the Future"
The final film of the Classic Film Series, "Back to the Future," will screen at 7 p.m. Thursday, May 3. The 1985 favorite is directed by Robert Zemeckis and stars Michael J. Fox. Doors open at 6:30 p.m., and sweet treats and popcorn will be available for purchase. Tickets can be purchased online or at the door.